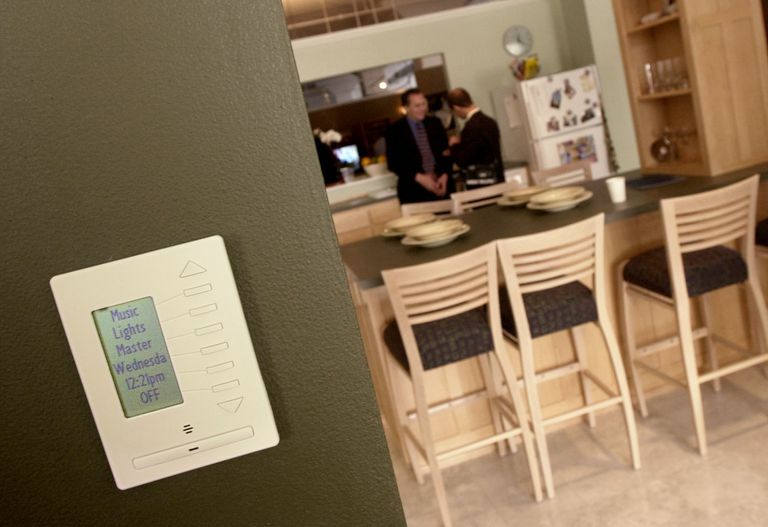 Definition: X10 is an industry standard for home automation networks. The technology behind X10 has been developed over several decades and remains viable today despite the advancement of other standards. Originally designed to work only over home power lines, X10 can utilize either wired or wireless communication methods. At the heart of X10 is a simple control protocol that supports up to 256 devices with addressing starting at A1 and extending through P16 (16 addresses A1 through P1, followed by A2 through P2, and so on). Several X10 protocol commands work specifically with lighting systems to control their brightness. Others also support temperature control and security systems. The X10 protocol works over either wired or wireless links but set ups normally use a home's electrical wiring. An X10 network can be managed from central controller devices; some setups support remote control via smartphone apps. X10 gained and maintained its popularity due to the affordability of automation equipment and compatibility. As with other forms of powerline networking, households must often use a phase coupler with X10 to avoid issues with two-phase home wiring. These newer home automation environments support X10 devices as part of a strategy to migrate customers away from X10 networks to more modern alternatives.